This exercise works to correct imbalances between the individual shoulders. It also helps to release tension in between the shoulder blades. To do this exercise you will need a mat and a foam roller. Start by lying on your back on the Foam Roller. The Foam Roller should be parallel to your spine. Your knees will be bent and your feet will be planted in the ground. Then reach your fingertips towards the ceiling. 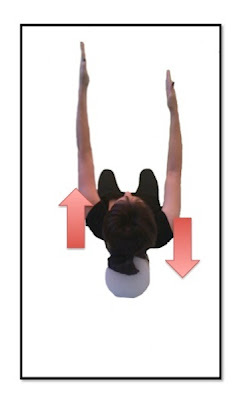 Reach one hand up towards the ceiling and then reach the other. With each reach feel the muscles between the shoulder blades and the spine get longer. Allow the shoulders to widen. Alternate sides as you do this exercise. Varying the speed at which you alternate sides in this exercise will vary the feel to the exercise. 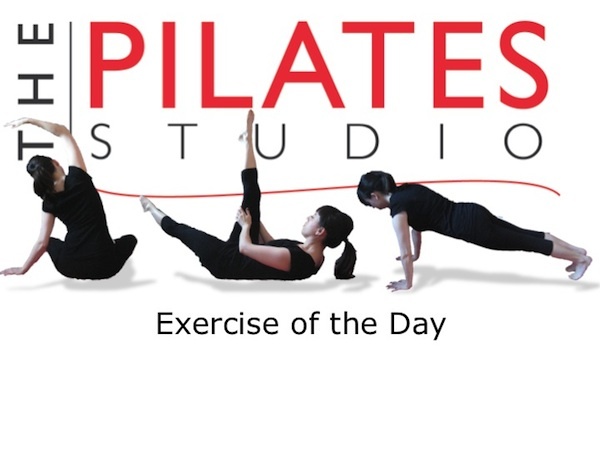 If you move very slowly this exercise will feel like individual stretches for the muscles between the shoulder blades. If you do this exercise quickly then you will feel muscular release due to self massage between your shoulder blades and the log.